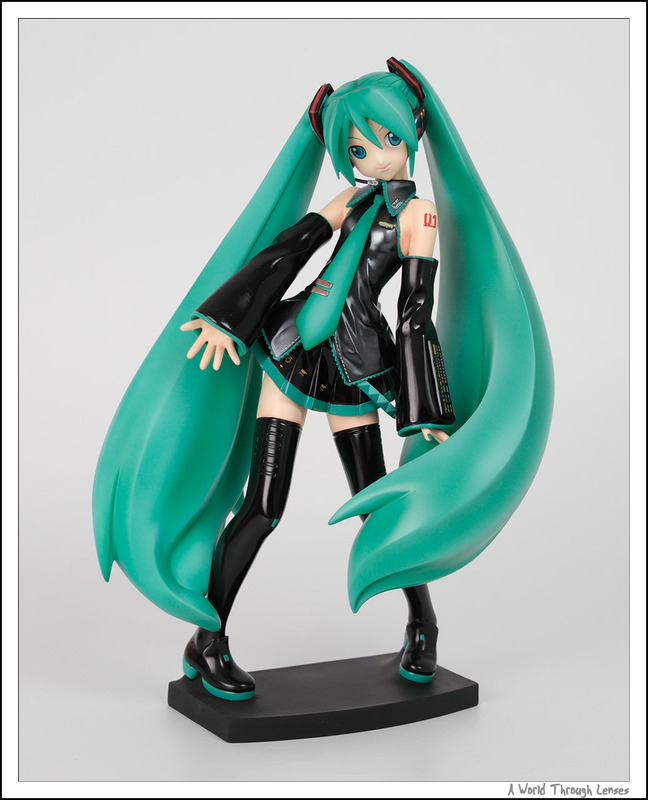 I have posted back in 2009 that I purchased a pre-painted resin figure of Volks’ Hatsune Miku from e2046. 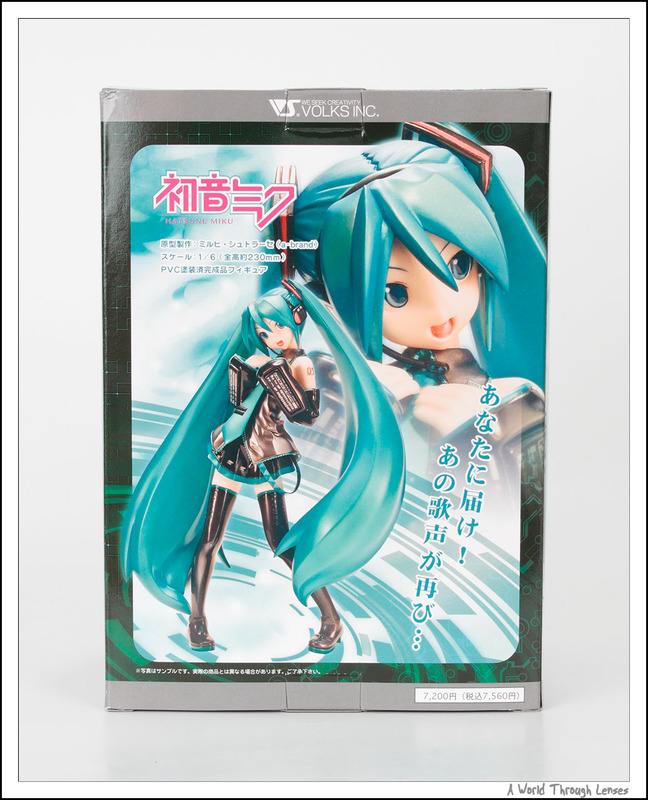 This particular Hatsune Miku resin kit was original released by Volks Japan in Wonder Festival 2008 at an price of ¥14,490. It was later released by Volks Japan as a 1/6 PVC figure in August 2008 with an MSRP of ¥7,140. Now e2046 sells recast resin garage kit as well as pre-painted recast resign figures. And in case you are wondering, yes they simply made copies of the original kit and sell these copies. Now I do try to avoid these recast figures, but because garage kits in Japan are very expensive and very limited in production quantity, it is not always possible to get my hand on the original. And because garage kits are typically produced in such tiny small quantities and that they do not have any lost of market outside Japan, I do from time to time buy recast garage kits from places like e2046. However, if possible, I do still want to get my hand on the original. Around end of 2009 and beginning of 2010, Volks Japan did another re-issued version of this figure as an “Encore Package” during Comiket 77 (December 29-31, 2009) and New Kit Exhibition 2010 (January 1-11 2010). And so my quest to get the original started. 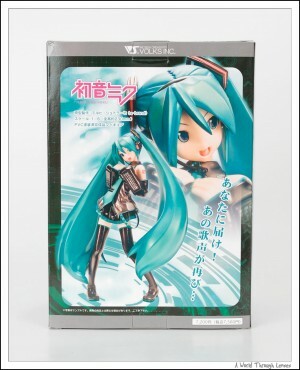 Hatsune Miku Encore Package 1/6 PVC by Volks (初音ミク アンコールパッケージ). Original Sculptor Milchstraße (ミルヒ・シュトラーセ). Released on May 2010 with an MSRP of ¥7,560. Here’s what the box looks like, front and back. Even though I never actually posted an full post dedicated to nendoroids, but I am actually a nendoroid (Official Nendoroid web site in Japanese) collector. I’ve owned over 20 nendoroids to date include: all five Suzumiya Haruhi characters, three Suszumiya Haruhi WonFest bunny girls, all ten of Lucky Star character with different versions, and the Mikkumiku Kagami, Itoshiki Nozomu from Sayonara, Zetsubou-Sensei, Saber lion, Hatusne Miku. 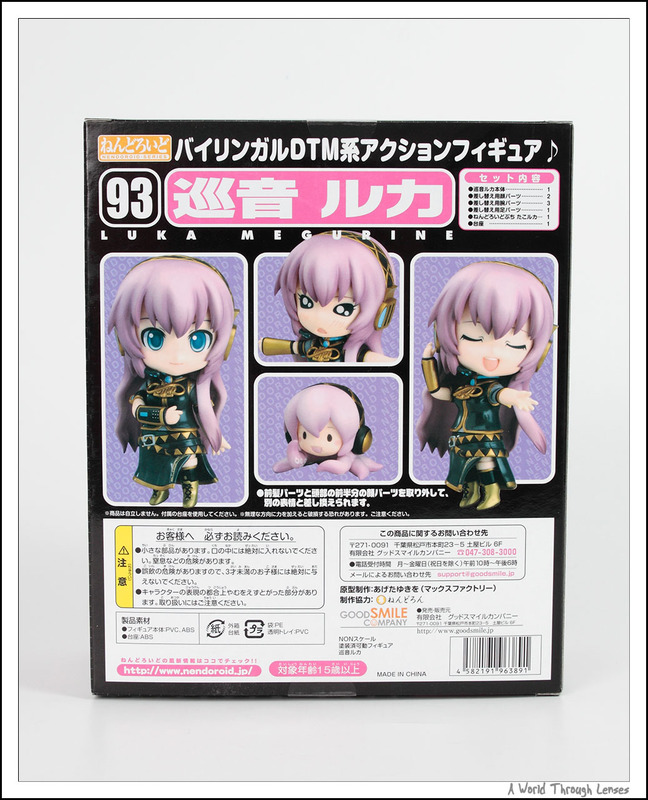 And today I’ve just added Vocaloid Megurine Luka to my nendoroid arsenal. Well I always felt that nendoroids are more thing that I play with rather than a real collector item. But seeing how I have accumulated such a large number of them from the past, I think I should post some of them so they don’t feel left out from my collection. 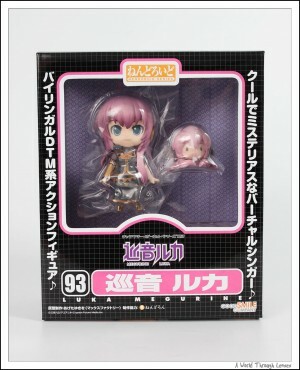 I actually had to fight hard to get Megurine Luka.For some reason that she sold out on pre-order really quick and I actually wasn’t able to pre-order her from any of my usual Japanese shops. In the end I was only able to get my hand on her right on her release date. I refreshed few site’s web page like mad and was able to find stock on Hobby Search. Purchased her quickly but when I checked back later in a few hours, it’s all gone. Funny how she was not even available from Amazon Japan while most other nendoroids are. Then because I wanted to try out the SAL shipping method, I had to wait for quiet a few weeks for her to arrive from Japan. After all that, I’m glad that I finally have her. 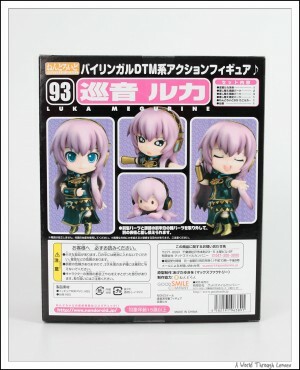 Nendoroid Megurine Luke by Good Smile Company. (ねんどろいど 巡音ルカ). Original sculptor Ageta Yukiwo (あげたゆきを). Released on January 2010 with MSRP of ¥3,500. Hastune Miku (初音ミク) is the first volume of popular Vocaloid2 character vocal series. It was original released by Volks Japan in Wonder Festival 2008 as a resin kit. The garage kit was sold at an MSRP of ¥14,490. It was later released by Volks Japan as a 1/6 PVC figure in August 2008 with an MSRP of ¥7,140. Volks Japan is currently planning on a re-issued version of this figure as an “Encore Version” that will be put on order during Comiket 77 (December 29-31, 2009) and New Kit Exhibition 2010 (January 1-11 2010). The shipping date of this new “Encore Version” will be spring of 2010. More information of this re-issue on this Volks Japan web page (Japanese). 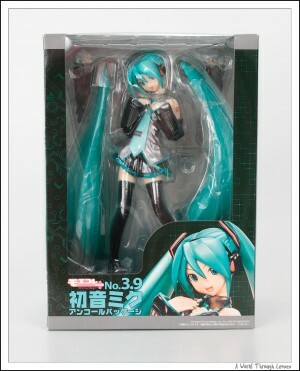 I was not able to get a hold of the original Hatsune Miku garage kit. So I acquired a pre-painted recast version from e2046. Hastune Miku 1/6 painted resin. Original Sculptor Milchstraße (ミルヒ・シュトラーセ).